I can hardly think of something more complex than Dayton Bosnia, although serious competition represents the EU single resolution mechanism for failing banks in the euro area which is being currently drawn. The state of Bosnia and Herzegovina is governed on several levels, but in fact is not governed at all. At the top of the pyramid is the presidency, above which is only the high representative, appointed by the UN. Since 2009, this position has been held by Valentin Inzko (Austria). The presidency consists of three members who represent the constitutional entities in the country. They rotate at the presidential position in every eight months. Something very similar to the rotating presidency of the Council of the EU, but with inter-state tensions. The state consists of two sub-states - Republika Srpska and the Federation Bosnia and Herzegovina (FBiH). There is a third sub-state, but it has a special status - the Brcko region. It is the Federation that makes things highly complicated in the country because it unites two identities - Croats and Bosniaks. Before, it was called a Muslim-Croatian Federation. It is divided into ten cantons, there are 14 prime ministers, two identities, three peoples. You can imagine how impossible it is to find an answer to the question "Who is responsible for the current situation in BiH?". The overall population of BiH is 3.8 million and at the moment the proportion is the following: In the Federation resides the biggest share - 2.4 million or 62.5% of the overall population, but it is still not clear what is the proportion between Croats and Bosniaks (Muslims). In the Republika Srpska, there are 1.3 million people or 35% and in the Brcko region live 93 thousand people which is 2.45% of the overall population. Of course, these are preliminary data from the census that took place after a lot of pressure by the EU and many problems in November last year. The credibility of the census was overshadowed by suspicions because preliminary data started coming out too quickly, which is technically highly unlikely. The correlation between the various entities is crucial for the long-term stability of BiH, which is why the official results from the census will be very important. To all these problems we should add the severe economic situation of the country which currently is on life support by the IMF. The unemployment rate last year exceeded 44%. By the beginning of 2013, the governance stupor was so serious that the state was incapable to even agree a common budget, while there still is no body that is responsible for the coordination with the EU. And so, 100 years after the killing in Sarajevo that started the World War I, 30 years after the Olympic games in Sarajevo and 19 years after the end of the war in Bosnia and Herzegovina, 2014 seems pregnant with expectations. And the results came pretty early. The clockwork bomb that was ticking for years finally exploded. For now, it is only in the form of social tensions in the complex state, but fears are growing by the hour that this could transform into inter-ethnic and nationalist. The country's economic situation is very poor and the European Commission outlined in October the main reason for that - the lack of national consensus for economic development. In this way, completely logically, the "Bosnian Spring" happened, starting from Tuzla and having "infected" very quickly many other cities and cantons in the Federation. However, the "infection" did not spill over into Republika Srpska whose leaders were immediately called in Belgrade for consultations, while in the rest of the Western Balkan region governments were still wondering how to react. And although the developments were called a mini civil war, the first three days, as the most tensed day was February 7th, protesters, analysts and journalists were unanimous that this was a social rebellion inspired not only by bad governance in the past decades, but also by events in Ukraine and other countries in the region, who rebelled against the status quo. The analogy with Ukraine comes also from the fact that one of the movements that stands behind the organisation of the rebellion calls itself UDAR just like the party of Ukrainian boxer and opposition leader Vitali Klitschko. UDAR has roots in former Yugoslavia, so it is not brand new in the region. The symbol of the movement is a fist, the same as the one the "early-waking students" used in Sofia during the occupation of the Sofia University. UDAR made a special placard for the rebellion which says that it does not matter if you are a Serb, a Croat or a Bosniak. "Together we're stronger in the fight for freedom". 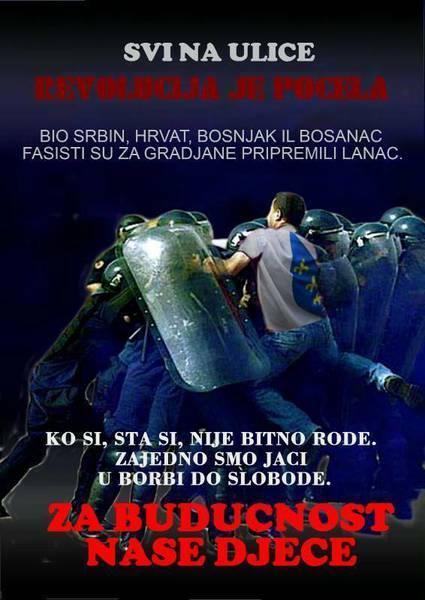 Separately from UDAR, on Facebook, another page appeared - Occupy BiH. 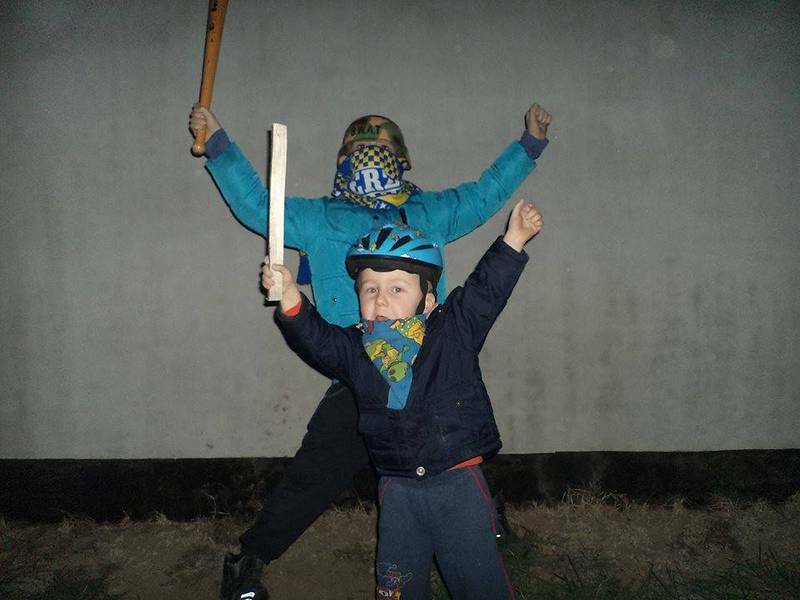 The rebellious mood started spreading across Serbia and Croatia where, too, protests are being organised. In Croatia, there is a movement called "Since Bosnia is up, we should get up too", which is organising a protest on one of the small central squares in Zagreb on Thursday. According to Esmir Milavic, a Bosnian journalist and blogger, living in Canada, the developments in BiH are not at all surprising. After all, this is the result of 20 years of government inability to change the situation in the country. Especially the current political situation where Bosnia has no fully functioning government since 2010. The protests were foreseen by Professor Slavo Kukic from the University of Mostar only weeks before they actually took place, Esmir Milavic wrote me. To the high unemployment of over 40%, we should also add the fact that 30% of the unemployed are young people. There are no social services and reforms in the entire state in the area of economic development. Governments borrow hundreds of millions of dollars from the IMF only to secure their wages and benefits, while people are fighting for survival. Nationalism, ethnic divisions and political blockade hold Bosnia the most underdeveloped country in the Balkans, Esmir added. In the past years, the EU has behaved as if the Dayton period of the Balkans is long gone and at the moment the situation is business as usual, but simply BiH cannot make it to catch up with its neighbours. The country has still not signed a Stabilisation and Association Agreement (SAA), which was promised to Kosovo as an award for its efforts to normalise relations with Serbia. However, Bosnia has to normalise its own self. When presenting the progress report on BiH in October, Enlargement Commission Stefan Fule (Czech Republic) looked literally desperate and did not save words to describe his disappointment with the lack of political will for anything in the country. The situation was significantly enhanced during the debate on the report in the European Parliament on February 5th precisely when the rebellion in Tuzla and other cities was starting to boil. Throughout the years, BiH's progress toward SAA, which is the anteroom for full fledged accession negotiations, was under the condition the country to apply the ruling of the European Court on Human Rights on the famous Sejdic-Finci case. And although the rebellion was already on, Greece's Foreign Minister Evangelos Venizelos said in Strasbourg that the political leadership of BiH should apply the ruling because it is crucial for the SAA. "It's very sad that the authorities in BiH cannot fulfil the conditions. We're wasting time", he added on behalf of the rotating Greek presidency. Commissioner Fule, for his part, said that one and the same reality has been repeating itself time and again. 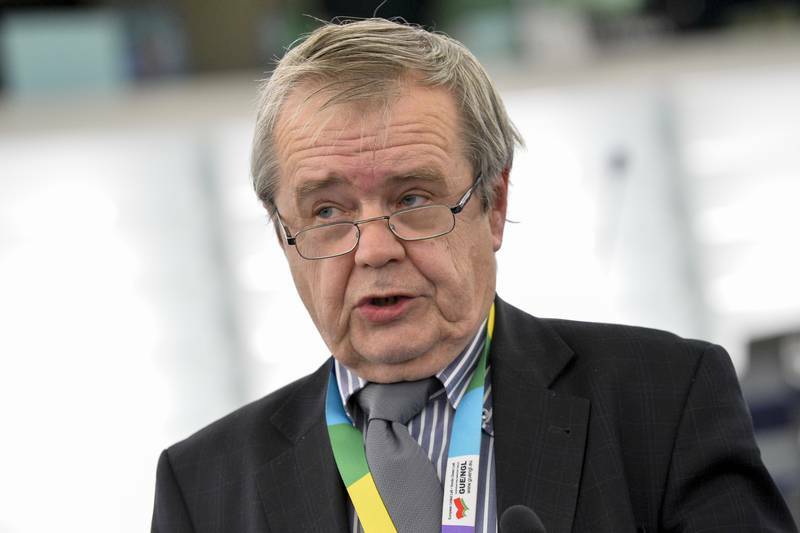 In addition to his usual concern about the complete lack of progress, this time Mr Fule shared the worries of the MEPs, expressed in their draft resolution, from the rising nationalism in the country. The EU door remains wide open, he reiterated as if the EU has all the time in the world to wait for BiH to go round in a circle and chase its tail unpunished. Much more prophesying were the MEPs. 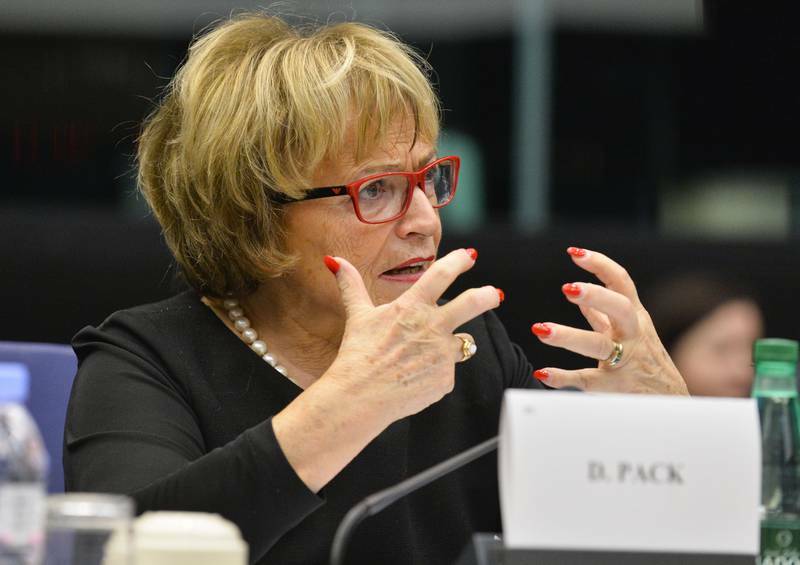 The rapporteur on BiH in the European Parliament, German MEP Doris Pack from EPP, was very blunt and condemned the Bosnian leaders. She complained that one of them told her the Europeans were illusionists and that the resolution was completely useless. What is interesting, she said, is that when it comes to European money we're not illusionists. 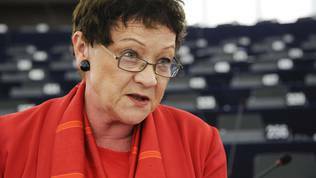 Most forthcoming, however, was British liberal MEP Sarah Ludford who, during the debate on Wednesday evening, in the presence of students from BiH, directly called for rebellion. She addressed the students, telling them that young people can do a lot. "There are hopes for a Bosnian Spring", she said. "You have to challenge this gang of old people who are running your country. You have to hold them to account", the MEP added. In the same spirit spoke Croatian MEP from the Confederal group of the European United Left Nikola Vuljanic. "We cannot impose a solution to any country. Citizens have to find the solution", he believes. 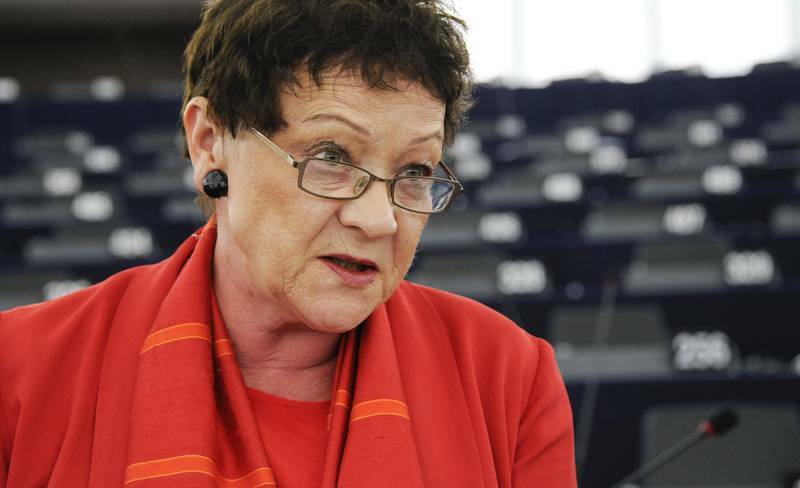 Anna Ibrisagic (EPP, Sweden) said, however, that the EU has to take its own share of the responsibility. Let us not forget, she recalled, that we are talking about a region that still has unresolved issues from the World War II. Esmir Milavic also believes that the EU is responsible. High Representative Mr Inzko has failed to use his power to force the Bosnian political leaders to come up with solutions. EU's foreign policy chief Baroness Ashton has left Bosnia aside to deal with Kosovo, the enlargement commissioner tried to work with local leaders but has failed to use his power and the EU's political strength to force/engage the leaders to start real work instead of holding useless "negotiations", Esmir wrote me in an email, putting the quotation marks himself. Highly critical to the EU was Croatia's Prime Minister Zoran Milanovic who visited Mostar on Sunday to see what the situation is on the ground. According to him, all of this would not have happened unless the EU had coherent and clear policy toward BiH and knew what it wanted. The EU did not learn in 100 years what has been happening in this country. The chances something as dramatic, with global impact, to repeat itself are none, but there are chances bad things to happen. EU is completely non-interested and this is not out of lack of knowledge, but because of complete lack of interest, Zoran Milanovic continued after meeting in Mostar Vjekoslav Bevanda, president of the Council of Ministers of BiH. 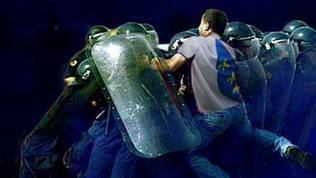 Instead of dealing with trifles like constitutional changes, the EU should begin real accession negotiations with BiH. They can last long, but otherwise the turbulences will happen again. Mr Milanovic promised to draw the attention of the EU leaders toward Bosnia and said that if the issue made it to the big international TV stations like the CNN, Al Jazeera or Sky, this will mean a huge interest. Is there a risk of something more dangerous? 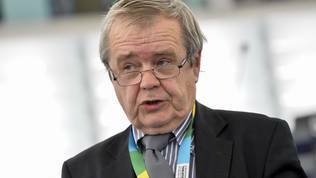 Esmir Milavic, too, doubted that the situation in the country could turn into something "uglier". The protests are against all governments and began from regional governance. The ethnic situation does not play here because people are sincerely angry with the current situation. Nonetheless, the risks are real. According to Serbia's Prime Minister Ivica Dacic, who was a whole week in Washington, only a spark will be sufficient to inflame another conflict. He added that this was no longer a social issue because there are specific political demands that are linked to the removal of entities. This opens a whole vicious circle. "This is precisely why we had a war in Bosnia and Herzegovina", Dacic added, who was a spokesperson of late Serbian dictator Slobodan Milosevic. Milorad Dodik, the president of Republika Srpska, for his part warned on Sunday that if protests and violence began spilling over into the republic, "with police force any attempt to destroy institutions will be prevented". The UDAR movement, judging from its activities on Facebook, works in a coordinated manner with Occupy BiH and also with the anti-Dayton movement. On their page in the social network, ideas and proposals are being collected for political changes. 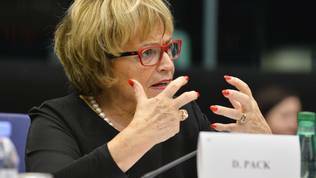 Among them is the demand to remove cantons and transfer governance onto regional authorities. The demand is in the form of petition, which has already collected thousands of signatures. Complete transparency is also demanded of all financial flows. Every week an obligatory financial report should be made public on the government's website. All competitions for jobs must also be made public. A list with all people currently employed in the state administration and their wages is among the demands, too. Workers and citizens from the Tuzla canton also declared their demands on February 7th, among which a review of the privatisation deals of several companies, recognition of healthcare insurance of the workers, investigation of economic crimes, confiscation of illegally acquired property, cancelling of privatisation deals, returning factories to the workers. Also demanded in the declaration is the payment of public officials to be evened with workers in the public and private sector, elimination of benefits for government representatives who take part in committees and other bodies. All the opinions and proposals collected by all protest movements will be sent to the members of parliament. Bosnia is ticking and this is causing fear throughout the region. Croatia has a long border with the Dayton invention and is worried by escalation of the tensions there. Serbia has this year been granted the long-awaited beginning of accession negotiations and in the country parliamentary elections will be held soon. 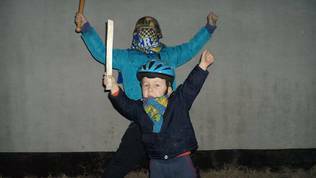 No one wants any trouble right now and any opening of the old and still unresolved issues to emerge again. All countries in the region have economic problems, unemployment is very high, the political class has completely failed. A lot of wisdom and maturity is required by both the leaders in the Balkans and the EU itself to face that challenge without any danger for the security in the region. In order to avoid, again, revealing that the EU does not know what is happening in its closest strategic neighbourhood, the EU leaders, while contemplating in one of the EU corners about treaty changes, should pay the necessary attention to the problematic states in the Balkans. This means that they should stop focusing on details while missing the big picture. BiH is poor and fragile. The application of the Sejdic-Finci ruling will not solve that. Neither will constitutional changes for themselves. More is needed. The EU should call a special summit to discuss the enlargement policy so far and draw its vision about the future. This could serve as a clear mandate for the next European Commission. Besides, this will send a clear message to the region that it really matters to the EU. Declarations of the type "We reaffirm the European perspective as it was agreed in Thessaloníki" no longer mean anything. A much more serious commitment is needed. Otherwise, the problems will only become more. 2014 is the year of Sarajevo. It's time for solutions. In a previous version this article wrongly stated that the High Representative (currently Mr Inzko) in BiH was elected by the European Parliament. Bosnia and Herzegovina is not a country; it is just a geographical term. If about half of its population doesn&apos;t feel any loyalty to the country then it is not a country; it is just three communities forced to pretend to live together. Why? Why the West fears so much independence referendum for Serb Republic in Bosnia, but the same is normal solution for Scotland, Catalonia or Quebec (not to mention Kosovo)? It sounds very hypocritical. Anyway, Western exercise in nation building in Bosnia clearly has been fruitless. There is no any "Bosnian" identity at all; opposite to that: Serb, Croat, and Bosniak identities are stronger than ever, and nothing can change that fact (no doubt, confirmed by recently held census). Obvious solution is some kind of confederation of three (three, not current two) entities with very weak, limited central institutions, so they can be incorporated in EU (to keep peace in Balkans). Anything else is just continuation of current situation: wasting money and time. "The state of Bosnia and Herzegovina is governed on several levels, but in fact is not governed at all. At the top of the pyramid is the presidency, above which is only the high representative, elected by the European Parliament."?????????? it&apos;s wrong, there are OHR and EUSR, the first one is appointed by UN ( In view of the complexities facing them, the Parties request the designation of a High Representative, to be appointed consistent with relevant United Nations Security Council resolutions, to facilitate the Parties&apos; own efforts and to mobilize and, as appropriate, coordinate the activities of the organizations and agencies involved in the civilian aspects of the peace settlement by carrying out, as entrusted by a U.N. Security Council resolution, the tasks set out below-Office of High Representative-Inzko) and just the second one is appointed by EU (Peter Sørensen)!